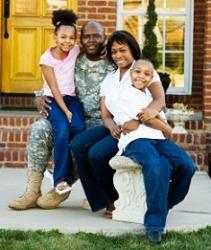 Free offers are available for military personnel. Promotions that offer free military admission to theme parks can help military families enjoy an exciting theme park getaway without worrying about the high cost of park admission. For some families, particularly those who face upcoming or ongoing deployments, free theme park admission can be a great way to spend time together when they may soon face a long time apart. Type of Duty: Some parks offer free admission to both active and reserve armed forces members, while others are less permitting. The branch of the service may matter, and whether or not an individual has retired can be a factor in a free admission offer. Blackout Dates: Like many discount offers, free military admission to theme parks may not be valid on all dates. Weekends and holidays are frequently blacked out, though special exceptions may exist based on each park's policies. Number of Tickets: The number of free admissions granted to each member of the armed forces can vary. Some programs only admit the individual, while others offer a limited number of free tickets for immediate family members as well. Uniforms: Some programs are restricted to individuals in uniform. 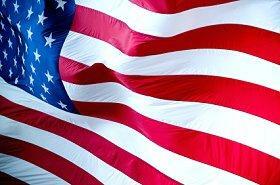 Identification: All free military admission programs require a valid military ID. In the case of a family using the program while the service member is on deployment, proof of active service and deployment orders may be required. Other programs require that the military personnel be present to take advantage of the free admission offer. Expiration: Most free admission offers do have expiration dates, though the programs may be renewed or extended based on their popularity and the park's economic situation. Some offers can be used multiple times by the same individual, while others expire after a single use. The three most popular free military admission programs are sponsored by some of the largest theme park chains in the country: Disney, Six Flags, and Busch Gardens. Discounts may apply to family members too. Disney's Armed Forces Salute: All active and retired military personnel are entitled to one multi-day free admission park ticket from Walt Disney World. While only the service personnel can get the free tickets, additional tickets are available for family members at deep discounts. Discounts on vacation packages, Walt Disney World resorts and other Disney attractions are also available. Six Flags Military Appreciation Days: In September 2009, twelve participating Six Flags parks offered free video conferencing, telephone calls, and internet access to military families in order to communicate with their loved ones overseas. Military personnel who test drove cars at participating Chrysler, Dodge, and Jeep dealerships could receive a free four pack of park admission tickets. Here's to Heroes: Sponsored by Anheuser-Busch, this program allows all military personnel who register to receive free single day admission tickets to Busch theme parks, including Busch Gardens Williamsburg and Sesame Place. The service individual received a ticket and could request up to three additional free tickets for immediate dependants, but the program is not available to retired military personnel. These are just sample programs and offers; terms and conditions can change annually and individuals interested in these types of military park admission discounts should contact the parks for updated information and current offers. While not all parks offer free military admission, many do have military discounts that can be a substantial savings for many families. In order to receive such discounts, proof of military service must usually be presented, and tickets may need to be purchased at the park gate. While military admission discounts can be substantial, it is always wise to compare these offers with other discount theme park tickets to ensure you find the best possible deal. Service personnel who are planning a theme park visit should always contact the park and ask about the possibility of discounts and free tickets. Not all offers for free military admission to theme parks are advertised.